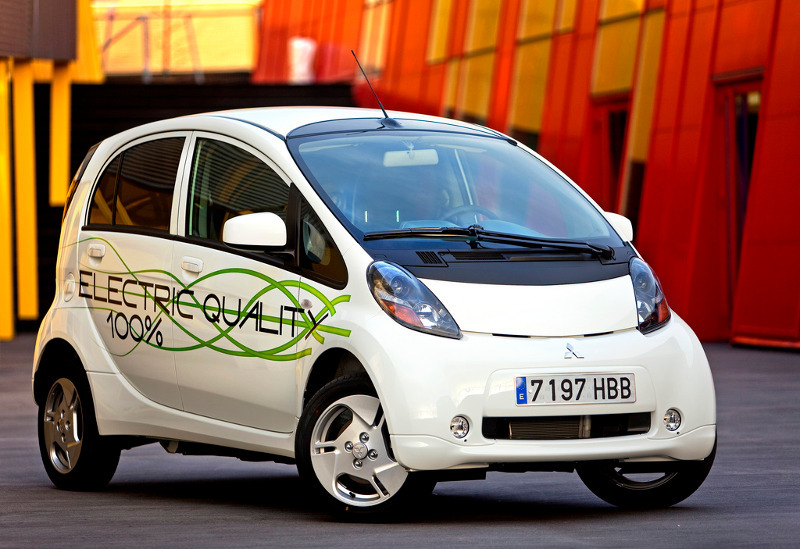 The i-Miev is an all electric minicar. It is also sold under the names Peugeot iOn and Citroen C-Zero. The car has a US EPA range of 100 km (62 miles).